It is over 30 years since Rodney Banks Lyon opened his first boutique. The Lancaster-based Banks Lyon jeweller has become a destination store for luxury watch brands, and is so successful that the business is about to open a second shop in nearby Kendall. How did the company become a northern powerhouse and what will it do to stay there? WatchPro’s Rob Corder spoke to Mr Banks Lyon to find out. Lancaster is one of Britain’s smallest cities. With a population of just 46,000, it would be considered a town were it not for the 19th century cathedral at its heart. The northwest city is home to Lancaster Castle, which was used as a prison until 2011, and is gradually being restored as a visitor attraction. 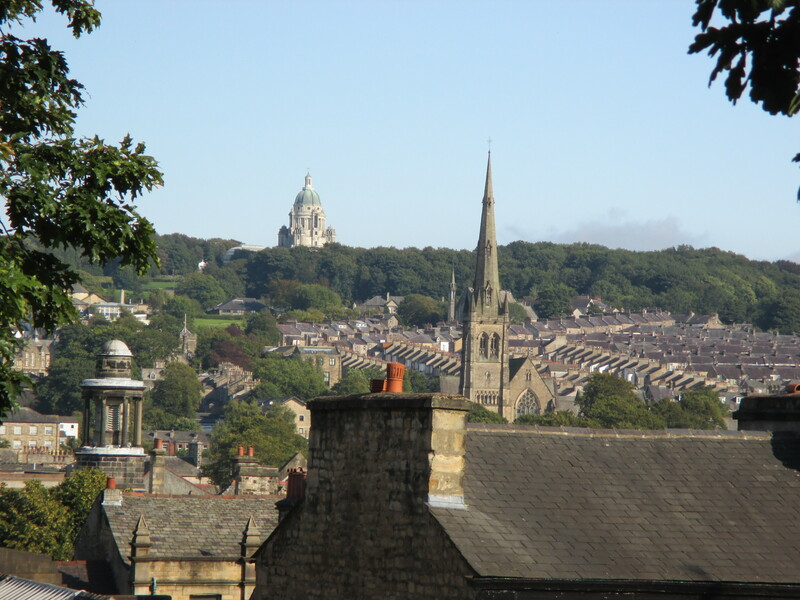 It is also close to major tourist areas including the Lake District and the Yorkshire Dales, but most local businesses rely on the city and its surrounding area for custom. Average house prices have remained stable at around £140,000 for the past five years and, although they have recently risen sharply, you can still buy a three bedroom house in the city for under £100,000. Lancaster University is one of the biggest contributors to the local economy, and the local NHS hospital is one of its biggest employers. The picturesque town of Lancaster. In other words, it is a comparatively unremarkable location and a surprising place to find a jeweller specialising in fine watch brands including Omega, Hublot, Chopard, Breitling, Cartier, Bremont and TAG Heuer. Rodney Banks Lyon established the Banks Lyon shop with his wife Jasmin in 1985 and has spent over 30 years developing the business as a destination for the whole of the northwest and for visitors to the area. 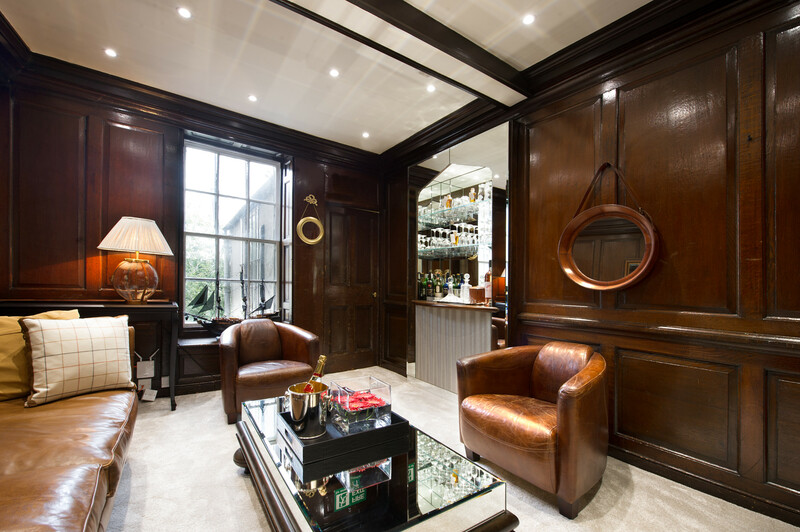 “We claim to be one of the premier luxury retailers in the northwest. There are very few retailers that do what we are doing between Manchester and Glasgow, so we have quite a nice catchment area,” Mr Banks Lyon tells WatchPro. “Our business does not just rely on custom from our immediate surrounding area, we bring clientele in from far and wide. We have people who come up from Brighton to visit the lakes and come in to see us. We have such a portfolio that our clients come to us because we can give them a breadth of choice. To see the range of brands that we offer under one roof, they would have to go to two or three shops, even in Manchester,” he adds. Lancaster is a city that can trace its history back to the 1st century AD, when a permanent Roman hill fort occupied the site on which Lancaster Castle sits today. The Castle, built in the 13th century, gave the town considerable status in the northwest, but also placed it on the map as the head of the House of Lancaster, which fought a civil war with the House of York in the War of the Roses. Perhaps this chequered history contributes to the view of Mr Banks Lyon that he prefers the modern breed of successful entrepreneurs to families that can follow their family trees back for centuries. “Family money, or old money, is never the best because they have already got everything they want and not usually conducive to renewing it. Our business is about new clients and new money. People succeed in their lives and want to treat themselves,” he explains. This is a view that WatchPro has heard from many luxury watch retailers around the country in recent months. Harrington & Hallworth in Wilmslow near Manchester is a destination for millionaire footballers; Michael Spiers in the southwest caters to successful hoteliers and restaurateurs in the region; Berry’s is pulling successful business owners into Leeds from across the UK. Robert Breden, general manager of Banks Lyon. Banks Lyon is another business that has discovered that wealthy young families can be found anywhere, and can be lured into a luxury boutique offering luxury brands when staffed with a team with knowledge, experience and passion for high end watches. “Our clients are often people in their thirties doing well in their careers, feeling more comfortable, having more disposable income. A luxury watch for many people is a reward for themselves for their endeavours. It is also something they can wear and make a statement that they are doing well. 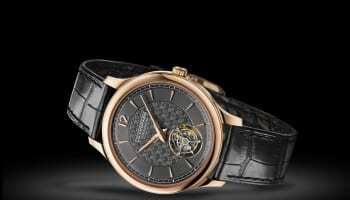 It is not about timekeeping, it is about the image that they want to buy into,” says Mr Banks Lyon. His first job in jewellery was at the local H. Samuel in Morecombe on the lowest rung of the ladder. Despite a family background in retail, Mr Banks Lyon was not first choice for an advertised job, but was called back when the first choice failed to show up. “They said that, as long as I shaved off my beard, I could have the job, so I got the razor out,” he laughs. H. Samuel gave him a fantastic grounding in the jewellery business and he was given management training that started to kindle an ambition to run his own business. But his apprenticeship was still developing, and Mr Banks Lyon spent five years as assistant manager for H. Samuel at a larger Birkenhead store before deciding that he wanted to work at the more luxurious end of the market. “By that time I was starting to formulate plans to start my own business, but I didn’t want to be at the H. Samuel end of the business, I wanted to be more at the quality end of the market. A junior position came up in Mappin & Webb in Liverpool, and I resigned my managerial position at H. Samuel and took a pay cut to join Mappin & Webb as a junior. Within three years I was a manager there. After that I moved down to Bristol to work for Goldsmiths and within three years I was manager there,” he describes. That year completed his education, and Mr Banks Lyon returned to Lancaster because he was convinced that the town was right for the shop he had been dreaming about. 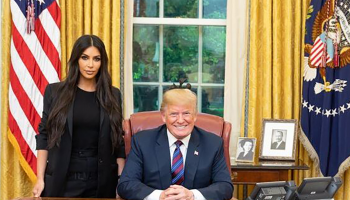 “I could see there was an opportunity. A lot of friends’ parents were telling me I was mad, but I firmly believed there was an opening, and history has proved me right,” he smiles. Pivotal to the early success of Banks Lyon was Rolex. Mr Banks Lyon first got to know the Rolex northern area manager, Bill Donnelly, during his time at Mappin & Webb. “I befriended Bill and said to him, while I was in my mid-twenties, that I would own my own shop one day. When we opened, I contacted him and he duly came along, liked the look of what I was doing in this tiny 500 square foot shop. He liked the plan, he liked me, and we got the Rolex agency just like that,” he remembers. “That was the springboard, the cash cow that enabled us to take on other brands and build up our portfolio to where we are today,” he adds. Banks Lyon sold Rolex watches for almost 30 years, but parted company in 2015. It was a time when Rolex was rationalising its UK channel, but Mr Banks Lyon provides no additional details on why the business lost its cash cow. By then, the shop already had a considerable portfolio of brands, including watches from all the major groups: Swatch, Richemont and LVMH. “We like to offer a portfolio, a spread of different brands. Each has their own market and image that they want to project. Because we have a good range, we can offer people the choice,” Mr Banks Lyon says. He is also excited about the watches on offer from his current portfolio. 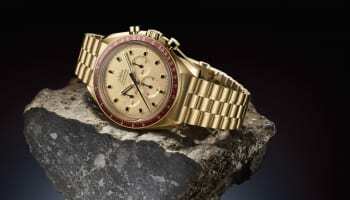 “The latest Omega watches are fantastic with their new coaxial movements. We do find that there is a growing swell of people that have been there, had the Rolex, don’t want to own the same watch as everybody else in the pub, and want to be a bit more individual. With Hublot, with Breitling, with Cartier, we can give them something different,” he states. 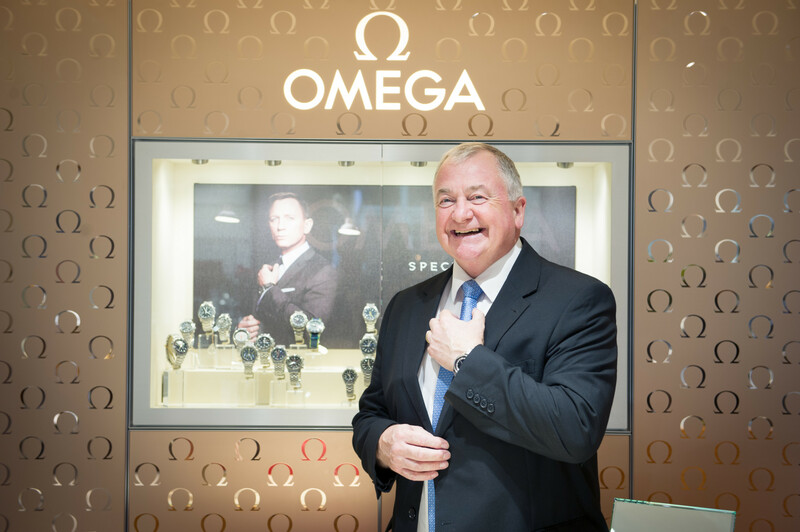 Customers can kick off at the shop with affordable luxury brands like Tissot, Gucci and Longines, and then go up through Hublot and then top end Omegas and Cartiers, according to Mr Banks Lyon. “We are the same as everybody in our part of the market with typical selling prices of around the £2500 mark,” he estimates. 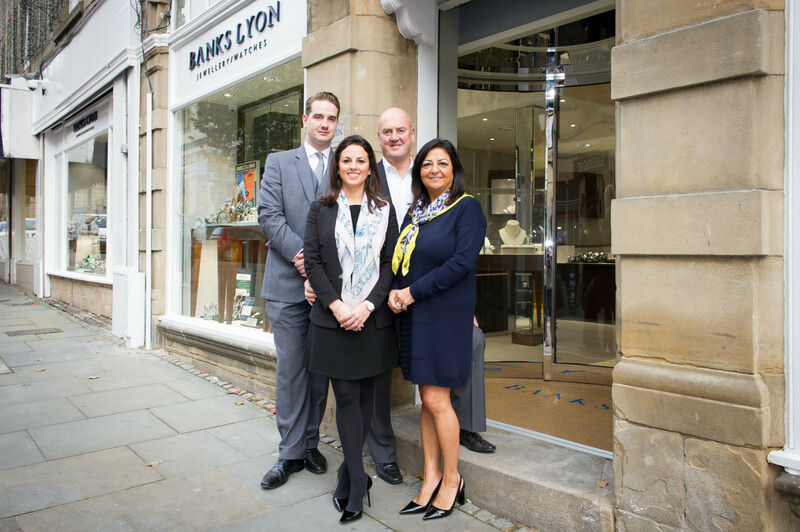 Big brands are an important ingredient for Banks Lyon, but it is the team’s quality of service and the luxury environment of the Lancaster shop that are key to keeping customers coming back. “You certainly get people that stick with a watch brand, but you also get clients who want a range of different brands. People keep coming back to us because they want the service and quality that Banks Lyon gives them, we are not just selling them a watch.” Mr Banks Lyon suggests. The luxury interior of Banks Lyon in Lancaster. “I think independents succeed because we understand every watch brand. There is not much I don’t know about the watches that I can sell, so I can advise my clients and answer any questions that they have. The independent can do that because we have a consistency of staff. Most of my staff have been with me for ten or more years. There is not a question you could ask us that we do not know the answer to. That sort of expertise is what our customers come for,” he adds. 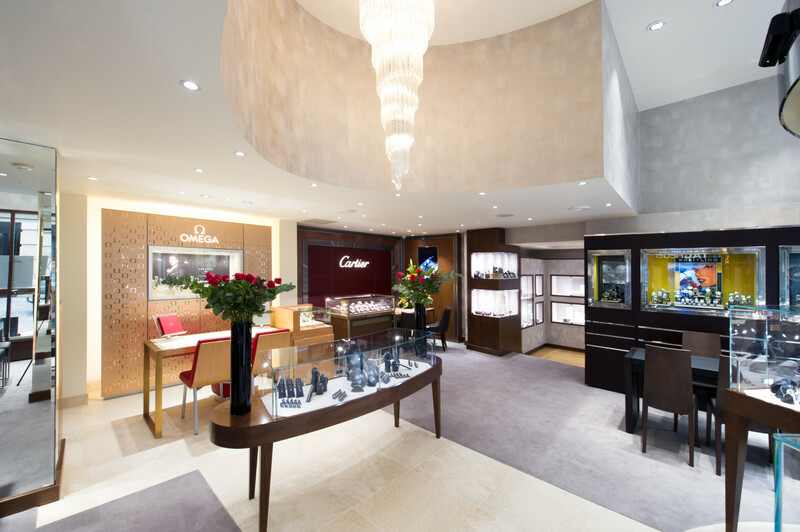 Banks Lyon offers just as much expertise in jewellery, with brands including Fope, Chopard, Marco Bicego and Mesika sold alongside gold and diamonds. “The watch brands have all their furniture in the shop. They are the mainstay, probably 60% of the business. But that leaves a significant part of the business that is jewellery that we want to look after and nurture. We have tried to concentrate more and more on the jewellery, rather than ignore it, and that has proved successful. We are diamond specialists. My general manager and I are qualified gemmologists. 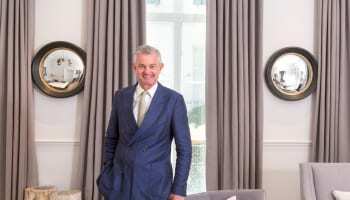 We have gone out in the past three or four years to push that side of things, and it has been successful,” explains Mr Banks Lyon. Rodney and Jasmin Banks Lyon could easily coast towards retirement, but the arrival in the business of their daughter Maxine and her husband three years ago has changed their thinking. “My daughter had worked with TAG Heuer and Theo Fennell in marketing. She and her husband (Alex) came to us three years ago and asked to join the business. With them coming into the business, it has bought a new energy and vitality and renewed our enthusiasm to move forward and progress. This is what has driven our interest in opening a second store,” Mr Banks Lyon describes. That second shop, in the picturesque tourist town of Kendall, will be only one-third the size of the store in Lancaster, but it will have a similar high end feel. “We are going in with a similar quality to what we have in Lancaster, but we are not going to offer all of our brands because we want Lancaster to maintain its reputation as a destination boutique. We will open with Longines and TAG Heuer, with Bremont as our premier brand. We have some nice jewellery brands going in there as well, reveals Mr Banks Lyon. Alex will be running the Kendall shop in partnership with a manager, and will be splitting his time between Kendall and Lancaster because, in the two years he has been with Banks Lyon, he has built up a very strong following in Lancaster. “He is a great networker who gets along with everybody. I am sure he will bring in new clients in Kendall as well,” says Mr Banks Lyon. The growth in the business comes at a time of considerable economic uncertainty. On the day WatchPro met, prime minister Theresa May was about to trigger Article 50 and the start of our exit from the European Union (a General Election has since been called). Mr Banks Lyon is not a man easily buffeted by forces beyond his control. “Who knows what is going to happen. You just have to look after your own business. We have had a very strong start to the year, far stronger than I expected, which is helpful when we are opening the new shop. I am actually quite confident at the moment. But this is retail, the next three weeks could be deathly quiet,” he says. The opening of a second Banks Lyon shop may not be the last, but the proprietor will not be drawn into disclosing any firm plans. “Let’s see how the second shop goes first. It would be nice to go to three but we are at the very early stages. Never say never, but the focus is very much on getting number two working. If it is a success then yes, if not, then no,” he concludes. 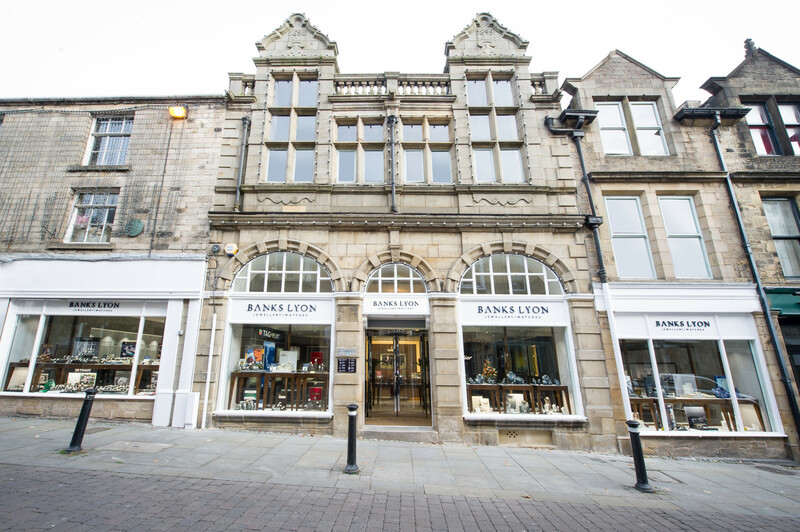 Watch brand furniture draws customers into the Lancaster boutique.